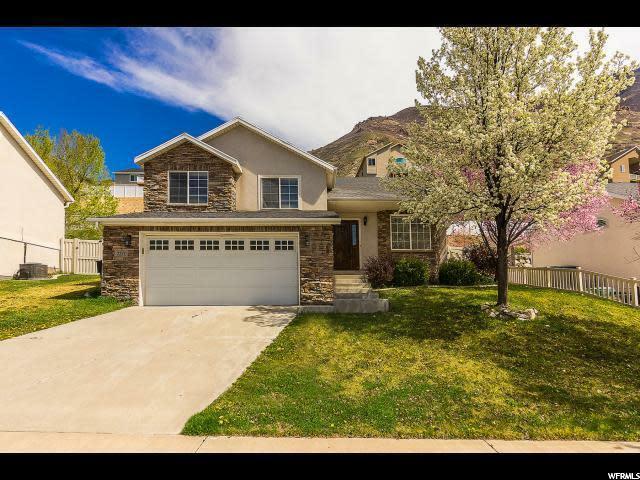 All EAST MOUNTAIN homes currently listed for sale in Provo as of 04/18/2019 are shown below. You can change the search criteria at any time by pressing the 'Change Search' button below. "Basement was completely finished just last year. Tall hickory cabinets in kitchen with granite counter tops, stainless steel appliances, and gas stove. Beautiful view of mountains from kitchen window and upstairs bedroom windows. Real Hardwood floors throughout the main level in living room, formal front room, and dining room. Front room has a cozy gas fireplace. Master suite includes walk-in closet, crown molding with remote controlled LED adjustable lighting, and a jetted tub. 3 Floors, 7 total bedrooms and 4 bathrooms. Home wired with Nucleus video intercom system. Theater room with 10.5 by 7.7 wide screen, surround sound, subwoofer, raised seating, and crown molding with remote controlled LED adjustable lighting. Big bonus room above the oversized two-car garage. Fully finished garage with sheetrock, texture, and painted interior. Huge cold storage room. Tile floor in kitchen and all bathrooms. Laundry on the main level with cubed storage shelving. Fully fenced backyard and professionally landscaped with drip system. Visits from deer, pheasants, quail, hummingbirds, and even elk. Direct access to hiking and biking trails right from your backyard, including the Bonneville Shoreline trail. HOA includes private park, basketball court, and volleyball court." 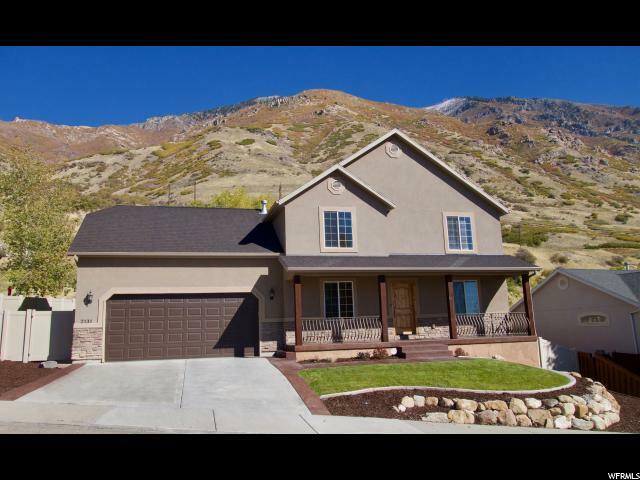 "This welcoming home sits on the East bench in Provo, giving it great views of the valley. The large open floor plan is perfect for entertaining guests or just lazily lounging. The master suite includes his and hers closets with convenient built-ins and an updated master bath! Enjoy the ease of both upstairs and downstairs laundry. At the end of the street are the HOA playground, basketball and volleyball courts. With new hardwood and new carpeting this home is ready for new beginnings. Square footage figures are provided as a courtesy estimate only. Buyer is advised to obtain an independent measurement."